Top: Chanterelles on butter fried sourdough toast with extra everything. 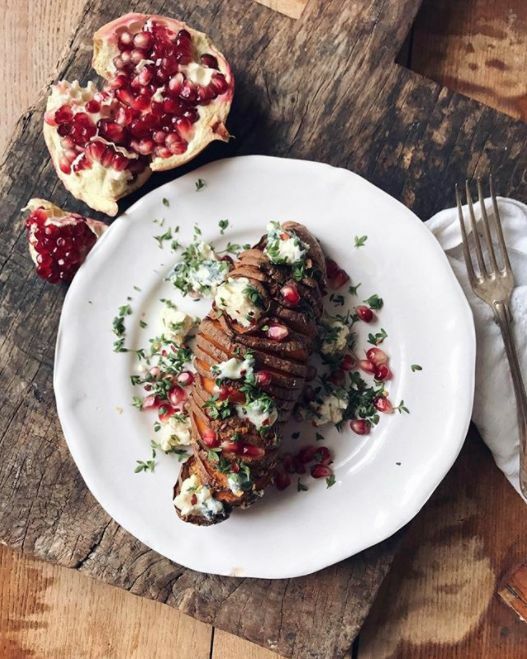 Middle: Hasselbacked sweet potato with blue cheese, chilli and pomegranate. 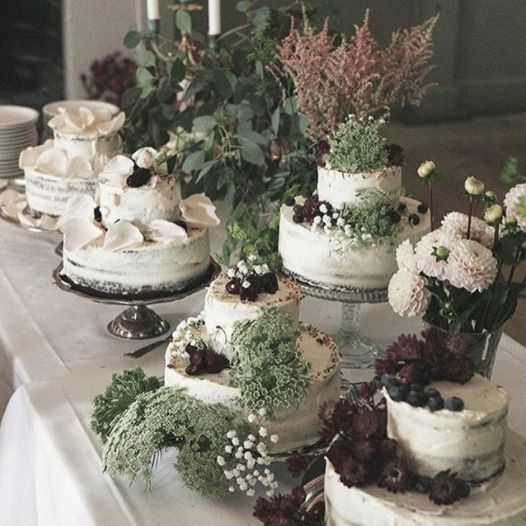 Bottom: Wedding cakes made for one of her friends. Best news lately is that one of my favorite bloggers/Instaaccounts now is a Food writer for Make It Last. I have followed Sofia Wood for a long time and even though her blog was updated the last time 10 months ago I still go there every single day hoping she will return. 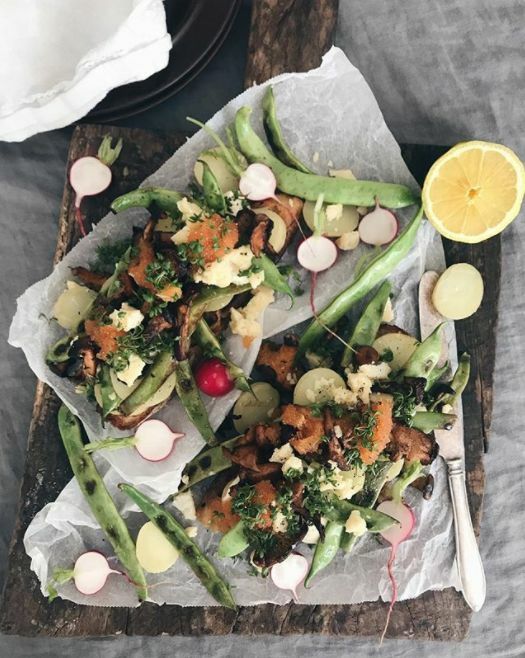 Luckily she is on Instagram with a daily dose of inspiration of lots and lots of deliciously looking creations. You can see Sofia´s Instagram here and from now on also over at Make it Last. Det här inlägget postades i Blog love, Flowers, Food, Inspiration av Anna. Bokmärk permalänken.